tabs panel that enables developers to change state for what-if analysis. At the 2012 International Consumer Electronics Show in January, Intel announced that their first smartphone incorporating the Atom Medfield processor, the K800, would be released in China by Lenovo. The company also announced that they would release a smartphone reference platform for developers. At the Mobile World Congress (MWC) this week in Barcelona, Intel is demonstrating a suite of visual computing tools for their new smartphone platform, with the unveiling of a port of the company's Graphics Performance Analyzers (GPA). Intel says that their developer tools will support the Lenovo K800 as well as future Intel-powered Motorola devices. The company describes GPA as "an easy-to-use suite of optimization tools for analyzing and optimizing games, media, and other graphics intensive applications." 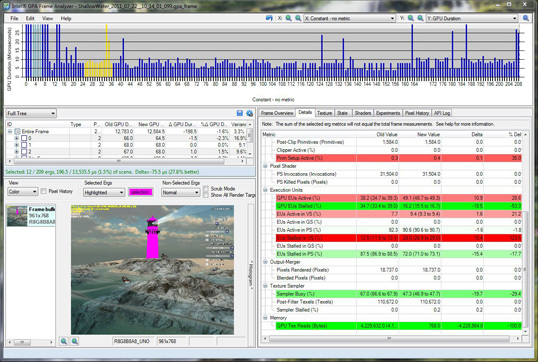 Game application developers will be able to use the tools to conduct performance and power analysis. Intel says that the GPA suite of tools have been used by PC game and media application developers for years, to help analyze and optimize PC game performance. Now, Intel has adapted the suite of tools for the use of mobile developers, with the objective of faster game apps for users of Intel smartphones. At MWC, Intel's demo includes connecting an Intel smart phone to an Ultrabook PC, via a USB connection. 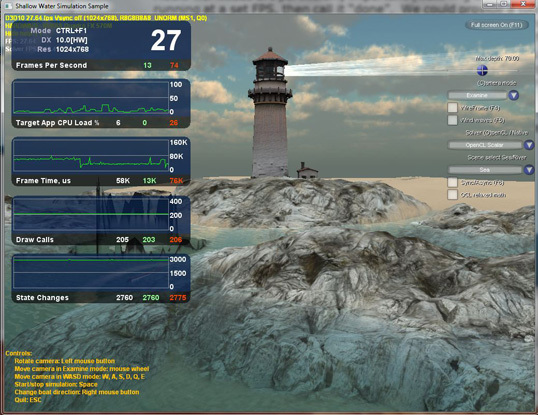 A 3D gaming scene from the GLBenchmark serves as the workload on the phone for the test. 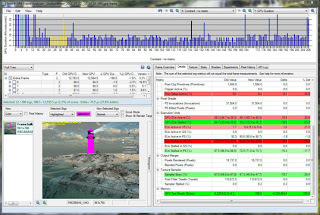 Developers can analyze real time charts of CPU load and power dissipation while the game scene is running, which are generated by Intel's GPA System Analyzer running on the PC. Intel is also showing how game application developers can exercise and run “what if experiments” on different parts of the smart phone platform for performance tuning. At this point Intel considers the features that they are demonstrating in GPA to be an early engineering demonstration, to show proof-of-concept. Intel says that they have not yet implemented all of the current metrics that are available in GPA, in the smartphone development suite. The company cautions that the demo is not intended for developers to draw conclusions regarding actual platform or game performance. Your results may vary. The video that is embedded below provides an introduction to GPA. Developers in the U.S. can look for more announcements regarding the Intel smartphone at the Game Developers Conference in San Francisco, March 5-9. The company will be providing more details at GDC, following on the preview demo which they will show to a group of developers at MWC.